What’s not to love about an Autumnal wedding? – I LOVE photographing weddings in the Autumn – the colours, the light and our favourite venue Whirlowbrook Hall! Rob & Scott are quite frankly one of the loveliest couples I have ever met – I love their cufflinks and their suits and their ceremony itself drew quite a few tears and some gasps when the rings were delivered by an owl and a falcon! We were then treated to a bird show outside and had chance for a few photos before heading in for the beautifully decorated room for the meal. The speeches were great and then after a bit of dancing we celebrated bonfire night with a fire dancing show and some sparklers. We absolutely loved photographing your wedding guys and thanks for all your kindness on the day – we wish you both so much love and happiness for the future! 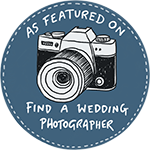 Paul and Helen are Lake District wedding photographers photographing weddings in Carlisle, Keswick and the Solway Coast. We also photograph weddings in Sheffield and the Peak District too!